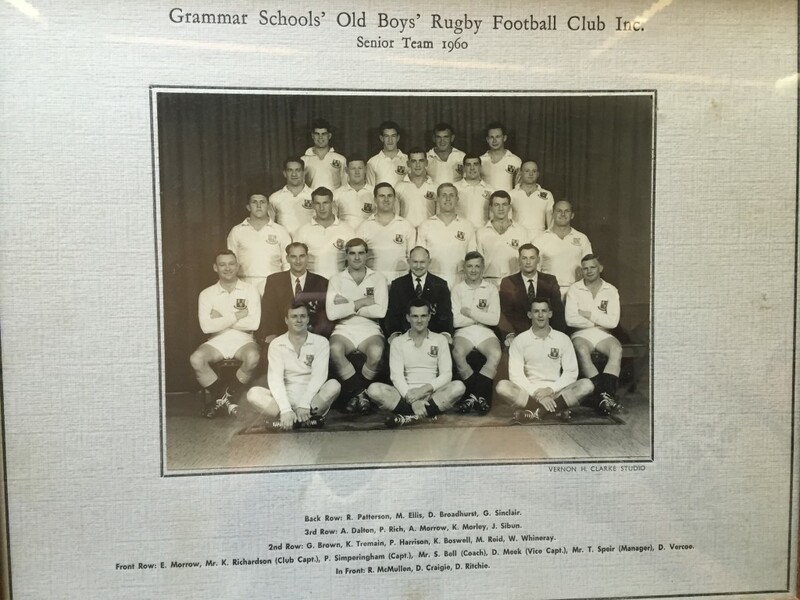 A record – 3 grandad’s in one team! 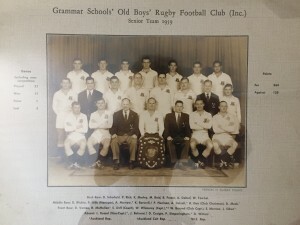 See the attached team photos for Grammar Seniors 1959 and 1960. K Boswell and P Harrison are Tex’s grandfathers and Wilson Whineray captain of the 1959 team, was a great old friend of both. Also P Simperingham, the captain of the 1960 team was Tex’s 3rd granddad, (his Gramdma’s second husband). Tex’s grandad sent Tex a message with these pics attached when he heard Tex made this years Whineray team and told Tex what an amazing rugby player Wilson Whineray was.